Sorry I have been so long posting . I have had a few bumps in the road... Getting back to normal slowly .. 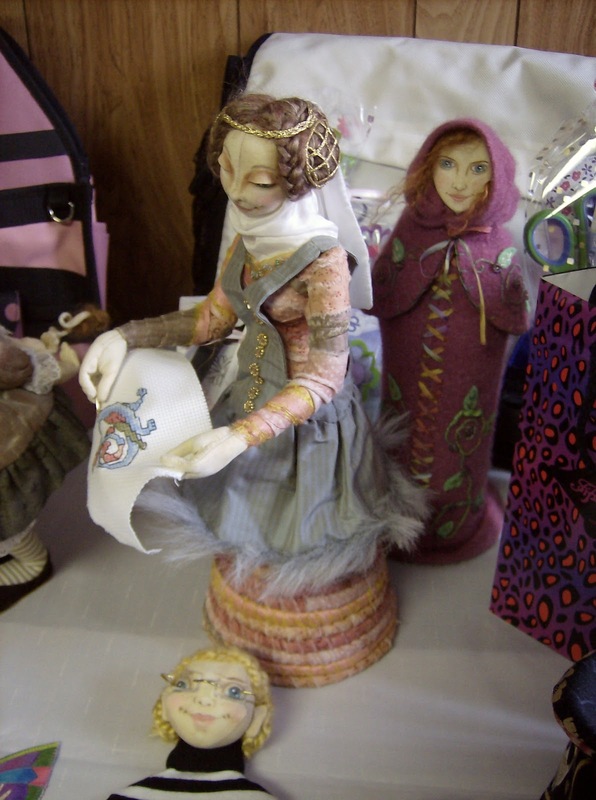 Here is a picture of the doll I was making in Colleen Babcock's class. It is called a Stitch In Time. I have not finished mine yet but I will take some pictures of my progress later. I hope I still have my readers in spite of the lapse in time since I last posted. I promise to do better:-}. No worries, my dear friend. I hope everything's going okay. You've definitely had your fair share of bumps lately. I am so glad to know you. Hugs to you!